Looking for something different than a standard cookie cutter wedding band? 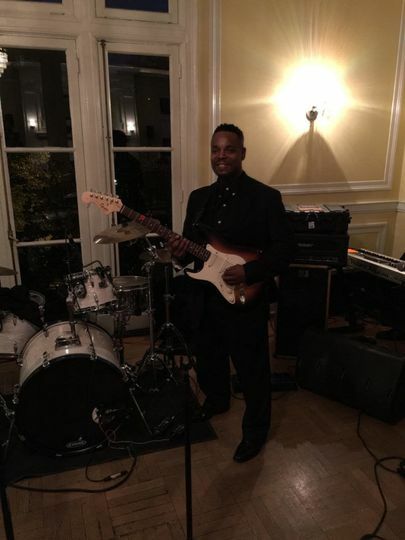 Dr. Blue's Out Of Town Blues Band are just right for your big day! 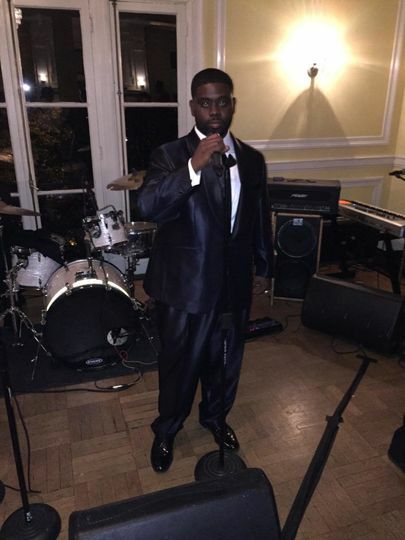 The Out of Town Blues Band is comprised of lead vocalists Jimmy Johnson and the venerable Jay as well as a 7-piece rhythm and blues band that includes a saxophonist, trumpeter, keyboardist, percussionist, and a bass & lead guitarist. 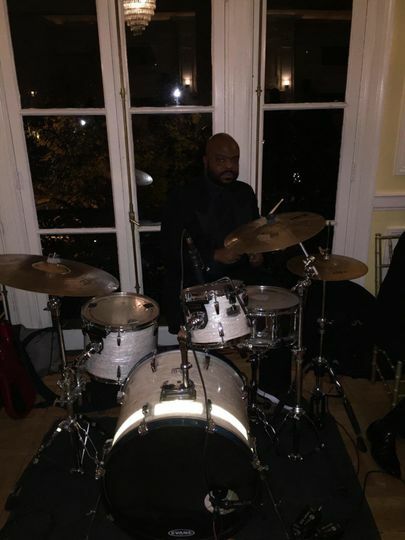 It host's an electrifying group of professional road musicians who have worked in the past with the likes of the late great Wilson Pickett, Gene Chandler, The Delfonics, Solomon Burke, Heat Wave, and Johnny Taylor, just to name a few. 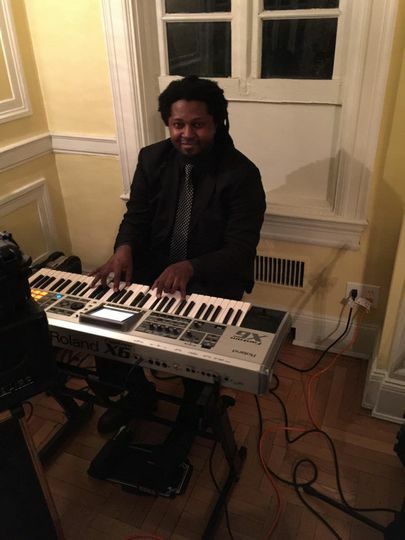 We play everything from jazz standard to the radio's newest hits. Most of all we love to customize all our event because, satisfying our customers wishes and desires come first. 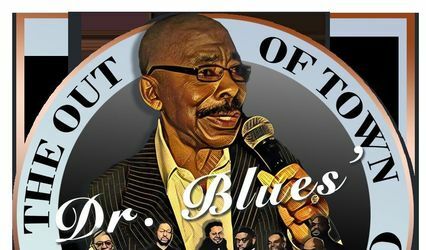 As the flagship band for Dr. Blues Productions, The Out of Town Blues Band has worked with a number of national acts including having served as the back up band for The Delfonics, the late Wilson Pickett, and Stephen Stills (of Crosby, Stills & Nash). They have also had the honor of having been chosen to play at three inaugural balls including one for President George W. Bush as well as former President William J. Clinton. 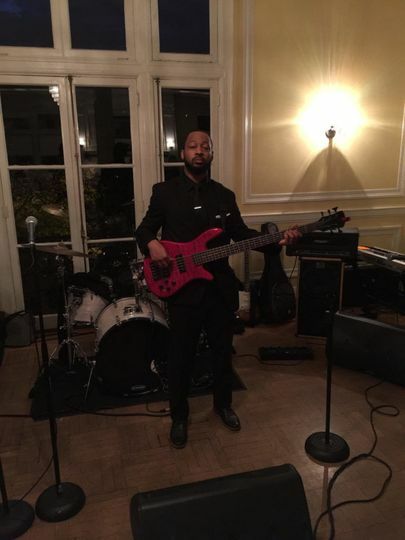 They have also performed at over 500 weddings including a recent wedding for a White House staffer. As well playing the Iowa caucus For President Obama plus playing several private white house correspondent events for women in news. Best of all, we are self-managed, so they are much less expensive than other bands in this quality bracket - you are not paying any agents of middle-men! Ask about our 3hour special in dmv. GREAT Band!! Love these guys!! I first started listening to The Out of Town Blues Band at the New Vegas Lounge when I lived in DC. They quickly became my favorite band. I recently threw a birthday party in Wilmington, NC and decided to hire them. They planned accordingly, and made the trip down. They delivered above and beyond what I expected. Justin asked me ahead of time if there were any special song requests, and they delivered them (Michael Jackson, Biggie, Rick James...)! 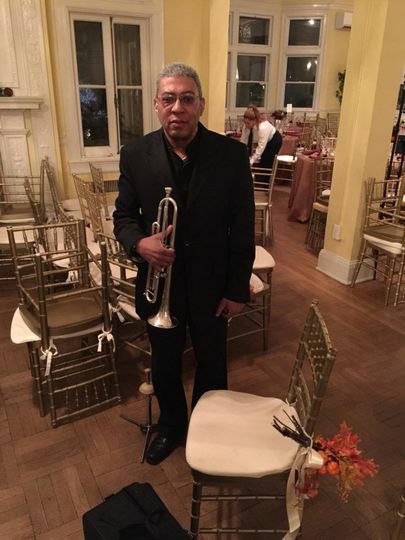 We had an older crowd including my mother and some of her friends present at the party early in the evening, so they tailored the music to them, but everyone there loved it (Motown/beach music, etc.). Surprisingly, my mother and her friends were the first ones on the dance floor. After a brief set break, they came back on and played the songs I requested. We loved it! Justin made special note that it was my birthday and made it the best one I've ever had. You CANNOT go wrong with booking this band. I am happy to be a personal reference if you would like. I love these guys and you will too! We booked the band for three hours, and I could have easily listened to them for three more. We did a walk-through ahead of time to confirm location as well as a backup plan, and they were great about answering any questions. 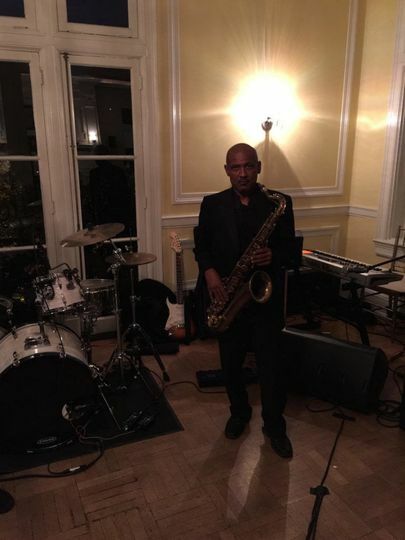 They took a few requests which they played really well, and their general style of music, I'd generally refer to as Motown/jazz, is something that a lot of people know and love and can dance to, so as far as pleasing a crowd it is hard to go wrong with the Out of Town Blues Band. If you care about good music and great dancing at your wedding, hire this band. Hiring these guys was one of the first choices we made, and one of the best. Highly recommended. They are easy to work with and extremely talented musicians. They can play everything - we classic Sinatra to disco to blues and they performed beautifully. They also are there to make sure that you and your guests have a great time and will get in to the celebrations with you. Great music and experience. Worth every penny. 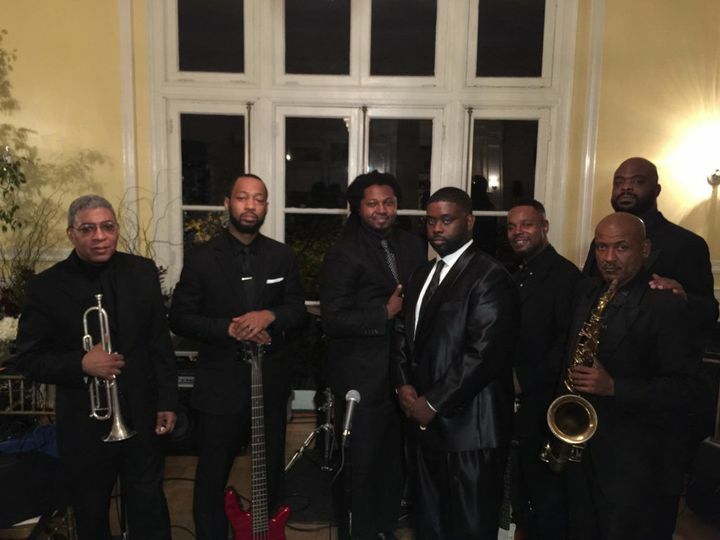 You can go hear them any Friday or Saturday night at New Vegas Lounge and see for yourself.